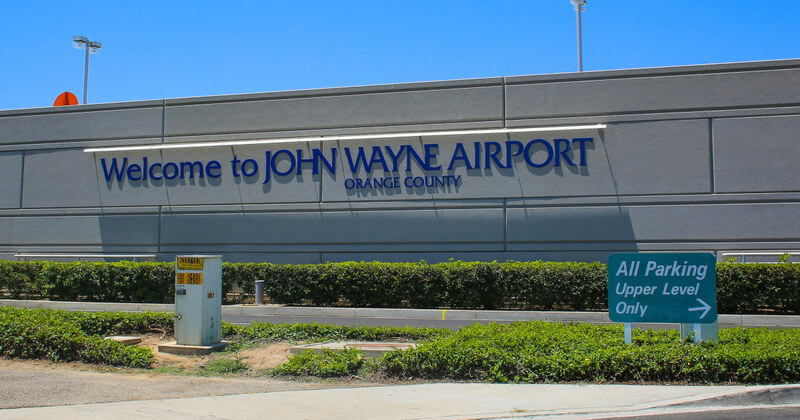 1; A Southern California worker John Wayne Airport was killed when a tire bridge deck used to connect terminals to aircraft doors exploded during maintenance. Airport spokeswoman Deanne Thompson says the accident happened late Tuesday morning in a workshop. Thompson says two airport employees worked on the deck, which was about 4 feet in diameter. The explosion is forcing a fire alarm that called the airfield rescue crews. An employee was pronounced dead. The other did not seek treatment. Thompson says both worked for a company that maintains the Orange County airport's luggage handling system and jet bridges. They are the movable passenger load structures that connect terminals to aircraft doors. The state workplace safety organization, known as Cal-OSHA, will investigate.